Melbourne 27 June 2015. RealEstate.com.au has released statistics that show that Melbourne real estate continues to be in high demand, even in the traditionally quieter winter months. The RBA's low interest rate policy, designed to stimulate business activity and the Australian property market is showing results. Demand for property is high. Buyers are present in the market as they seek out investment property opportunities. The demand for property in some suburbs, as realestate.com.au has identified, is not constant across all suburbs. Transport and lifestyle opportunities are driving the inner city property price rise. Jeff Grochowski, Managing Director at Accrue Real Estate said today, "These are among the last days that Melbourne's good quality inner city property will be affordable by most people. It will soon be out of reach." "The outer Eastern property corridor will continue to see price rises and there is enough supply to sustain that market." Mr. Grochowski said. "Inner city property will maintain its price due to demand and convenience. In that market there is no property bubble"
"If there is an adjustment in the coming months, the East and South Eastern corridors will largely hold out"
"International migration will continue to be a key driver of demand in the Melbourne property market. Victoria will continue to be a leader in the integration of migrants into communities. Melbourne has the capacity to integrate new arrivals as there is ample room to expand. Unlike, Sydney, Melbourne is not land locked." Mr. Grochowski said. "In Melbourne, good reputation and lifestyle choice inner city suburbs will continue to be strong." Montmorency in Victoria has seen the most growth in interest from buyers across Australia over the past year, according to realestate.com.au’s Top Sellers’ Markets. While Montmorency has shown the most growth since last year, four other Victorian suburbs have attracted interest from buyers this quarter, with inner city areas and spots located in the east most popular. Freshwater in New South Wales tops the national list followed by other North Shore areas Willoughby and Thornleigh which are located slightly towards the west. South Penrith comes in tenth spot highlighting that Sydney’s west is also attractive to buyers. Completing the list is Unley, South Australia, in second spot. Nigel O'Neil, Managing Director and CEO at Hocking Stuart says Victoria’s population is growing at a rapid rate which is influencing the property market. “While low interest rates have ignited interest in property Australia wide, the Victorian market has experienced especially strong growth off the back of an increase in population, subsequent demand for housing and limited supply,” said Mr O’Neil. “This demand coupled with the fact that property in Melbourne is more attainable than in Sydney, and that Melbourne has exhibited moderate capital growth over the past decade, are key incentives for buyers in Victoria,” continued Mr O’Neil. 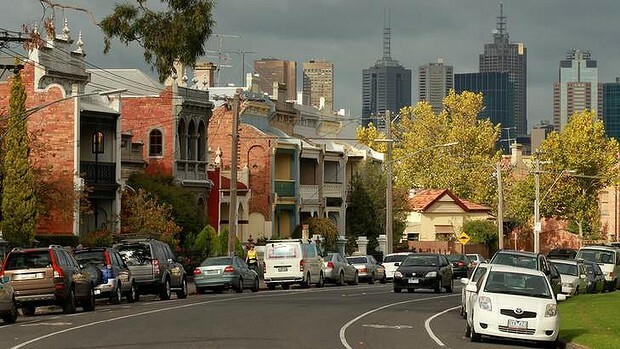 “This data highlights that the most in-demand suburbs are split between tightly held inner city areas like Albert Park and Carlton North and ‘tree-change’ suburbs which are on the cusp of inner and outer Melbourne, such as Ringwood North, Montmorency and Upwey. The demand for the latter are rising in popularity as amenities like public transport, shopping and café culture have vastly improved - allowing buyers to have the best of country and city life,” adds Mr O’Neil. realestate.com.au’s General Manager of Sales and Operations Arthur Charlaftis says that if a suburb is receiving a consistent level of interest throughout the year, it’s a good indicator where buyers are searching across Australia. “realestate.com.au’s Top Sellers’ Markets provides information useful for those thinking of selling. A suburb receiving continued interest from buyers all year round highlights that seasonality should play less of a factor when it comes to selling,” said Mr Charlaftis. “There’s a commonly held myth that you should avoid selling in winter if possible. While there is clearly a peak in new listings during autumn and spring, we also see a consistent level of listings being sold over June-Augustiii. So if you are thinking of selling in the next few months, don’t be put off by the cooler weather,” continued Mr Charlaftis. A new methodology has been adopted for realestate.com.au’s Top Sellers’ Markets as we have found it reflects a more accurate picture of where buyers are searching online. realestate.com.au reaches its findings by taking the average number of listings in each suburb over the course of three months. It compares the number of visits to realestate.com.au/buy per listing per month that included at least one property view in a suburb. Suburbs are then ranked as top seller suburbs by the extent to which demand outstrips supply. realestate.com.au reached its findings by taking the average number of listings in each suburb over the course of three months. It compared the number of clicks on property listings against the number of available properties in that suburb to arrive at a supply vs. demand ratio. Suburbs were then ranked as top seller suburbs by the extent to which demand outstripped supply. About realestate.com.au: realestate.com.au is the leading website in Australia for residential property, with an audience of more than 3 million visitors every month. realestate.com.au is owned and operated by ASX listed REA Group Ltd ABN 54 068 349 066. Source: Nielsen Online Ratings, 3 month average for the period March - May 2015.